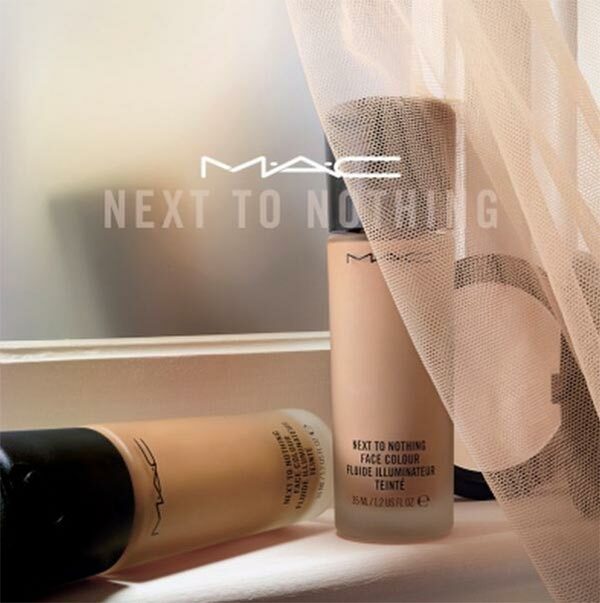 With bare-faced looks all the rage these days, MAC brings a new collection for the Spring/Summer 2017 season, titled the Next To Nothing Makeup Collection. The collection is quite a small one, with just two products to create a simple and flawless minimal face, though each product offers a variety of shades. Nine shades of the MAC Next To Nothing Face Colour ($35) and the MAC Next To Nothing Pressed Powder ($30) are offered, and finding your perfect shade won't be a difficult task. MAC's latest product, the Face Colour is not a foundation, but a low pigment load liquid that is designed to create a natural look with makeup. It has characteristics of a primer, and can be used underneath your foundation to create a fresh and flawless look, and leaves an opaque deposit on the skin. The second offering in this collection, the Next To Nothing Face Powder, is a matte compact designed for a soft and natural look. It works as a veil, not depositing a lot of colour on the skin, but leaving a delicate feel to the skin, and also comes in nine shades, the same as the Face Colour. The MAC Next To Nothing Spring/Summer 2017 Makeup Collection will launch in April 2017 online and at all leading departmental stores.